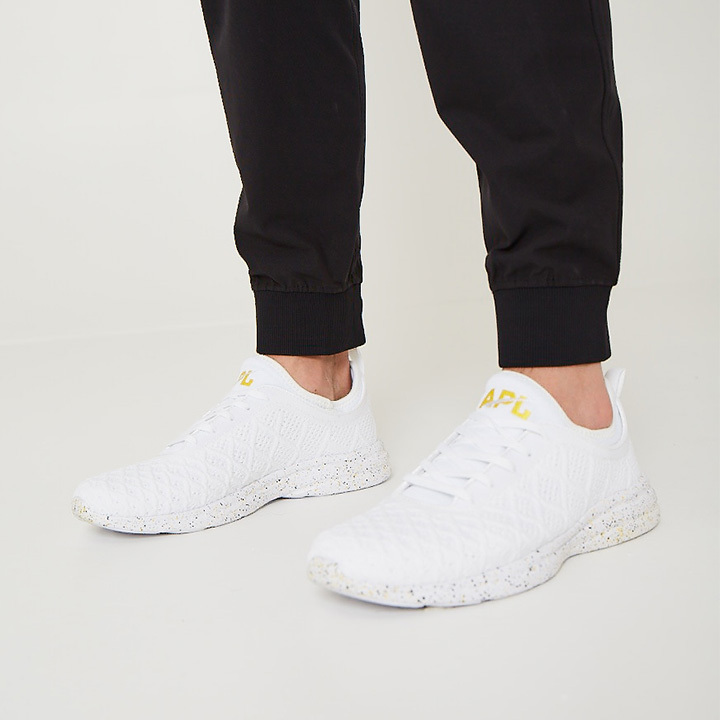 Innovation and style meet in the SoulCycle x APL Exclusive Athletic Propulsion Labs TechLoom Phantom running shoe. Featuring a Techloom upper that offers 4-way stretch to keep your feet comfortable, while the 3D grid pattern provides support where you need it. A neoprene tongue with integrated collar offer exceptional fit and all-day comfort in a sleek low cut silhouette. Cushioning is provided by the proprietary Athletic Propulsion Labs Propelium® midsole/outsole for extreme comfort and clean looks. The TechLoom Phantom is truly where fashion and athletics intersect. 8mm drop.